Q. How can I tell if Gumberg Library owns the book I’m looking for? To find out if Gumberg Library owns (or can access electronically) a particular book, you would need to search QuickSearch, the library’s online catalog. Simply type the title of the book you are looking for and click search. If there are too many results, narrow them by selecting format or any relevant information on the left toolbox. Please note: Gumberg Library shares QuickSearch with Duquesne Center for Legal Information (DCLI) and the Allegheny County Law Library (ACLL). When viewing your search results, remember to check the location of the material. Look for “Gumberg” in the location. 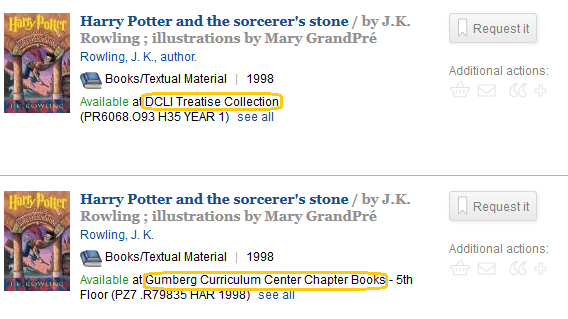 You can also refine your search by Collection to view only materials located within Gumberg Library.